Turnkey restaurant for lease. 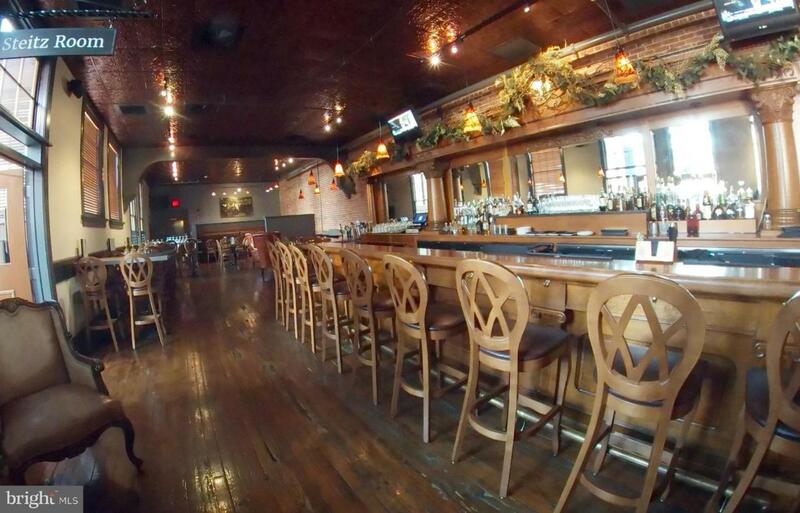 Located in downtown Lebanon, PA on the 2nd Floor of the Lebanon Farmers Market, this fully-equipped and furnished restaurant awaits an operator ready to execute their vision! Formerly the Foundry Craft Grillery, the space features wonderful finishes and outstanding attention to detail throughout. The restaurant seats 106 plus meeting/private dining rooms located just off the main bar area, and for special event space. The kitchen is fully-equipped, a part of which features and highlights a wood-fired pizza oven which is open to view from one of the dining areas. It enhances a truly unique dining experience. The bar features a large antique back bar as its main focus, and provides a large welcoming area for patrons and friends to gather. Liquor License is available.